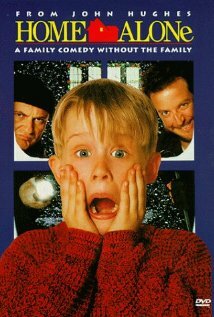 Business Movie Review: Home Alone (first movie) - Brilliant Breakthroughs, Inc.
What can the movie, “Home Alone” (1990) teach us about business? The main character Kevin, is a little guy who tends to get lost in the family shuffle. Kevin becomes frustrated and wishes he didn’t have a family… and through a strange chain of events, his wish is granted! He is left home alone, during Christmas while his whole family vacations in France. Imagine how mortified his mother is when she realizes she left her little tike home, alone, for the Holidays! FLEXIBILITY: Plan, Take Action, Adjust, Now Repeat! The “Wet Bandits” are the two burglars, who I believe”steal” the show 🙂 Watching them was fascinating. They created a plan and continued to adjust until they accomplished their goal. Have you been flexible enough in your planning to accommodate unexpected events? This was all over the movie! The mother, who regardless of the obstacles to overcome, exhibited sheer determination to get back to her son. Kevin, ready to take on the bad guys with every possible tool available to him. The Wet Bandits, having the tenacity to break into this home – regardless of the consequences! What is it that requires you, your team, or your business to be more tenacious? ACKNOWLEDGMENT: Simple, Yet So Powerful! Kevin’s statement while hiding under the bed at the beginning of the movie, “This is ridiculous … only a whimp would hide under a bed!” Is a far cry from his exceptional performance of ingenuity and guardianship to become the family’s hero. Heroes emerge in business everyday. Regardless of what it is, who they are, if they are internal or external heroes, do you take time to acknowledge their outstanding accomplishments? When you are a customer, do you acknowledge good service? Next Review: It’s another surprise for the holidays (and before the holidays too)! Never saw this movie although know general concepts. Great article tying the movie with business concepts! Thanks for the thought provoking blog!